Teaser is not the peak pose in Pilates, it’s not the end all be all of Pilates exercises. It’s a great check in and see where you are in your practice. There is a lot of pressure on Teaser. 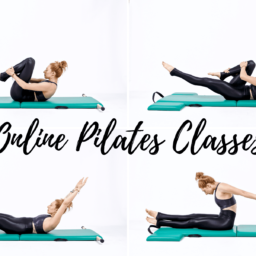 It's probably the most photographed of all the Pilates exercises and it looks so similar to so many other fitness exercises that there are a lot of misnomers about this ridiculously hard exercise. First, it's not a v-sit and it's not Nivasana in Yoga. Yes, they appear similar. But, in Pilates, we are not perching on our sit bones. Or, asking your hip flexors to grip and hold our legs for us. Instead, we are taking your Roll-Up from the beginning of the mat and taking it up a major notch or three. How far can you reach your arms to your toes from your back? Traditionally you get into Teaser from laying flat on your back, arms overhead and legs squeezing together. One big reach and then fold in half-ish. You are reaching your legs toward a high diagonal but also pulling your stomach back. Your lifting talk but also rounding and reaching forward. You are teasing gravity! For your first rep from the ground lift everything up and reach forward. Then leave your legs and lift your arms up to the ceiling. Feel like you are holding on to a pole and your arms are connected to your back. Then leaving your legs where they are and reaching your arms up roll your upper body to the floor and then reach forward and roll back up. Repeat 2 more times. Then if you need to stay at that version do it six more times. 3 sets of 3. Or, hold your arms reaching forward and move onto Teaser 2. Lower and lift your legs three times. Then either repeat or lower everything down and lift everything back up. Repeat Teaser 3 two more times. Slow and steady doesn't win the race but neither does being speedy. Instead moved with intention and control.